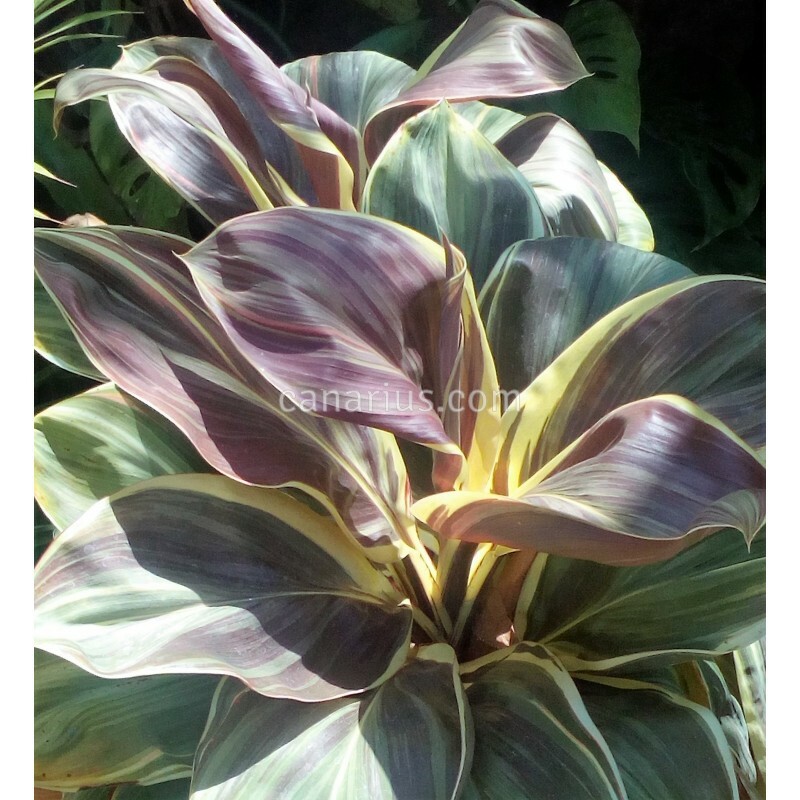 One of the best-looking modern cordylines! There are just too many colours in its leaves. Cream and chocolate stripes are intermingled with about anything between pink green and blue. 'Miss Andrea' also has a compact growth habit and it rarely exceeds 1 m in height as it branches from below, forming a round mass of tidy rosettes.